“The big question Your Lordships should ask is whether the court is competent to review (the deal to acquire 36 Rafale fighter jets) on the basis of what has been filed”, pressed the AG. “With all due respect, Your Lordships asked for the procedure (followed in the procurement) to be filed. The government of India did so. You asked us to give extracts of it, which can be brought into the public domain, to the petitioners, and to share the pricing details with the court in a sealed cover. We have done so”, continued the AG. “The agreements between the government of India and the government of France, of which one is the Inter Governmental Agreement, regard certain information as classified which can be disclosed only with the permission of the government of France. Even the Parliament has not been given the complete cost. Please Sanjay Singh’s (AAP MLA) petition- the cost of the aircraft has been stated as being Rs. 670 crores, which is exclusive of the associate equipment, the maintenance support and services, etc. This is not the cost of the loaded aircraft. The secrecy is sought to be maintained as to the weaponry and the avionics, and not for the aircraft, so as to avert the risk of our adversaries taking advantage of this information. The IAF (Indian Air Force) Air Marshal has given a letter concurring on this point. If we are to disclose the pricing of the whole, loader aircraft, the consent of the government of France is needed....such information is protected against disclosure even under the RTI Act....”, was the case of the top law officer. “But because of the respect for the Supreme Court, we will make available the details of price and the break-up as to weaponry and avionics, and even the advantages of the jet”, conceded the AG. However, he voiced concerns over the possibility of leakage from his office of such sensitive information. “Any discussion as to pricing will happen only if we allow these stats to come into public domain”, assured Chief Justice Ranjan Gogoi. On why the earlier deal of procuring 126 fighter jets, of which 18 would be in fly-away condition and 108 would be manufactured in India by HAL on the basis of Technology Transfer was scrapped, Mr. Venugopal contended that there could be “No understanding with HAL in respect of the man hours required for manufacture, which were 2.7 times higher than Dassault and would have resulted in a huge delay”. “The contractual obligations and the issue regarding manufacture in India could not resolved between 2012 and 2015....there could not be allowed to be any danger of accident and the jets and The equipment was to be in perfect condition and of perfect efficacy....the difference in the price came on account of the inflation and the change in the euro-rupee exchange rate in this time gap”, explained the AG. “Our adversaries were upgrading their existing aircraft and acquiring more advanced ones. They had inducted more than than 400 fighter jets as against our 126. These were Fourth generation aircraft. This enhancing by the adversaries of their combat strength made the situation asymmetrical and critical. And hence, the process for withdrawal of the earlier RPF was initiated in March, 2015, with the Indo-french joint statement being issued on April 10, 2015, for the supply of 36 Rafale jets ‘as quickly as possible’....”, he continued. “These 36 were compatible with the quality requirements of the earlier MMRC (Medium Multi Role Combat Aircraft), and of the same configuration. The operational requirement of the IAF, the acceptance of necessity, the approval by the requisite financial authority, the commercial negotiations- all steps were fulfilled. It was brought to the notice of the DAC (Defence Acquisition Council)”, he asserted. “After the joint statement, we followed the 2013 Defence Procurement Procedure. The earlier procedure, in respect of the RPF issued in 2007, was deemed to be valid....”, he stated. “So there was no RPF for these 36 jets?”, inquired Justice K. M. Joseph. “Is the RPF required for the intergovernmental agreement Or only for competitive deals?”, asked the Chief Justice. “No, the intergovernmental agreement does not need the RPF. However, the Rafale deal was sent to all committees and it was okay-ed....”, responded the AG. “Are these new aircraft the same as those 126? Otherwise, the procedure (of procurement) has to be repeated”, reflected Justice Joseph. 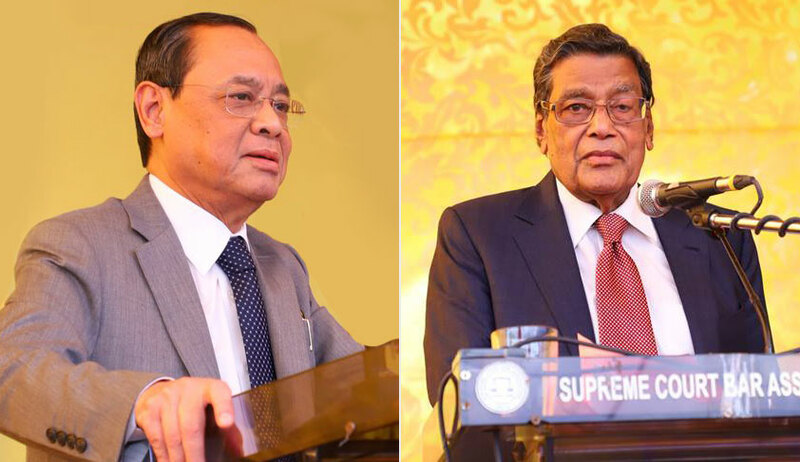 “is the base aircraft same as earlier”, the Chief Justice sought to know. “Yes, it is the same”, replied the AG. “Under the earlier procurement of 2007, did you at any time disclose the machinery and the weapons to be loaded which you are now refraining from sharing?”, asked Chief Justice Gogoi. “No, it was never officially disclosed even under the old law”, said the AG. “We take it that The weaponry and the equipment have never been in public domain”, noted the Chief Justice. “Are the deliverables for both sets of aircraft the same?”, quizzed Justice Joseph. “The additional secretary of the defence ministry says there have been improvements in the deliverables because of the time gap”, stated Mr. Venugopal. The Chief Justice asked if anyone from the IAF was present in court. When the AG indicated the secretary of the defence ministry, the Chief Justice declined, saying the court wished to quiz an officer of the IAF as to the requirements of the air force and no one from the ministry.